It's no secret that designers and musicians often find inspiration in one another's work (what would a runway show be without a few Michael Jackson references? ), so it hardly came as a surprise that designers were eager to try their hand at making outfits for the most illustrious of music venues: the New York City Opera. At the annual charity event, Divas Shop the Opera, attendees will sip fancy macerations and nibble hors d'oeurves while perusing designer-donated merchandise (think Bill Blass, Versace, Manolo Blahnik, and Zac Posen, to name a few), the proceeds from which go to benefit the company and its costume department. 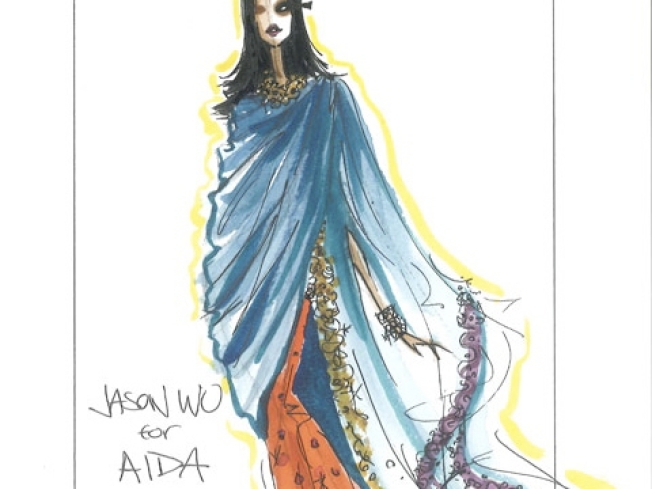 This year, however, guests will be bidding on something even more remarkable than vintage Chanel bags: a series of handmade sketches by Victoria Bartlett, Jason Wu, Peter Som, Behnaz Sarafpour and Narciso Rodriguez depicting some of the most recognizable (and fashionable) opera characters clad in fanciful couture costumes. Whether or not you're interested in bidding, sketches will be on view starting Thursday, May 20 at 82 Mercer. Tickets run steep, from $75 to $300, but the price may be worth the chance to see top designers' indulging their operatic fantasies. Call 212.870.5622 for more information, or visit www.nycopera.com.